As a Millennial, I’m on my phone pretty much all day. The first thing I do when I wake up, and the last thing I do before bed, is scroll through my Instagram feed. I basically like to live vicariously through photos from my favorite influencers, celebrity girl crushes, and friends. 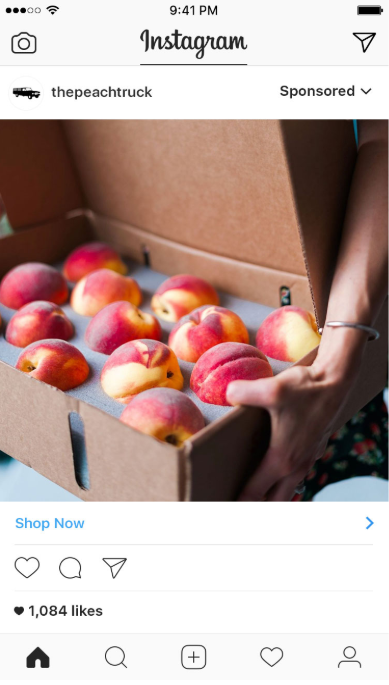 What’s crazy to me, though, is that while I’m scrolling through this curated bunch of images, I’m also being exposed to a bunch of Instagram ads (often without even noticing). Instagram ads aren’t like most ads on the internet—they aren’t obvious or blaring. They don’t pop up and disturb me while reading an article, or make me wait 10 seconds before I can skip the ad and get on to the content I actually wanted. Generally, they blend right into my feed. 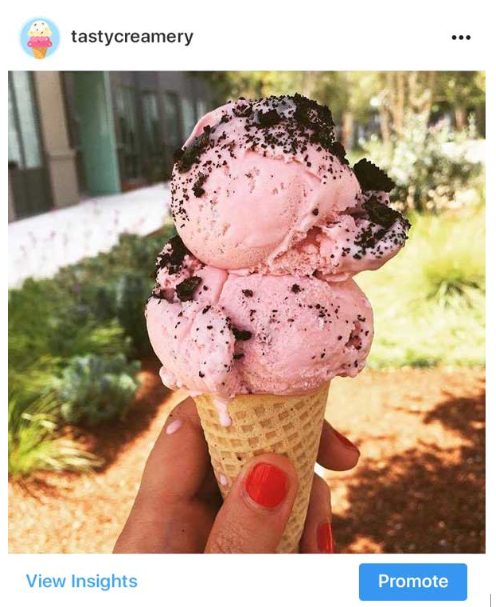 There are four types of Instagram ads: photo ads, video ads, carousel ads, and stories ads. To be honest, I don’t really mind the photo and carousel ads. Like I mentioned, they blend right into my feed and don’t disturb my endless scrolling. I’ve also stopped to take a look at carousel ads when they show me products from a brand I like or create a cohesive message that you have to see all the photos to understand. It’s the video and stories ads that aren’t my favorite. Videos often cause my feed to skip when scrolling past or even crash my app. If I don’t have a good WiFi connection, they won’t even play at all. In stories, I almost always swipe past the ads unless it’s a product I’m really interested in. Aesthetically, these ads are usually very similar to those on YouTube and I don’t feel like watching them. When setting up an Instagram ad, you’re allowed to have one of three objectives: awareness, consideration, and conversion. In my experience, all three can be met, but conversion is the toughest. I’ve definitely stopped to look at an ad if a product peaked my interest and I wanted to learn more. I’ve even considered purchasing something through an Instagram ad. However, I don’t usually follow through. I may visit the company’s website or screenshot the product to come back to later, but I generally do not make a purchase solely based on the ad. Which makes sense because if you’re in the world of marketing, you’ve probably heard of the Rule of Seven—a potential customer needs to “hear” the advertiser’s message at least seven times before they’ll take action to buy that product or service. The process for getting started with Instagram advertising is “quick and easy.” You must have a Facebook Business page in order to then create a Business Profile on Instagram, which is makes sense as Facebook acquired Instagram in 2012 for $1 billion. After that, you can set up an ad in their Ads Manager. Then you determine your budget to dictate how long your ad will run and who will see it before clicking publish. With such a simple process, it’s surprising that I don’t see more ads than I currently do. On a side note, I like that this setup invites small, locally-owned businesses as well as larger companies the opportunity to advertise on Instagram. As a Boston-based Millennial, I enjoy seeing ads for restaurants and shops in my neighborhood, and more often than not will throw them a like. This is the most interesting part of advertising to me. Instagram can use specific options to reach the exact audience that you want to see your ad. This includes factors such as location, demographics, interests, and behaviors. You can also design an ad to reach a custom audience, lookalike audience, or automated target. Basically, Instagram has all of these creepy, but effective ways of reaching the right people. Ads for products I’ve searched for or clicked on in my browser history often come up on Instagram within minutes. Sometimes I’ll talk about something outloud and it will show up in my ads. Is Siri or Cortana or Alexa or whoever always listening? I think that’s a debate for another article. While I am one Millennial in a sea of many, it’s important to get to know what resonates and performs with your audience. Always be testing! Want to engage the coveted Millennial and Gen-Z demographics? Finding the right partner is key to your success. Here at YMC, we’ve been helping brands connect with 15- to 29-year-old consumers for two decades—and we’d be happy to share our wealth of knowledge with you. Contact us today! As buzzworthy as the word “influencer” has become, influencer marketing is nothing new. Celebrities have long served as poster children for the influencer model. But with the rise of social media, it’s now possible for an average person to become an influencer. Instead of being discovered by a talent scout or moving to NYC or LA, social media has democratized who gets to be famous and serve as an influencer. All you really need nowadays is an Instagram handle and iPhone Portrait Mode. Over the past several years, there has been a rise in influencers (AKA Instagram celebrities with millions of followers and a perfectly curated online persona), replacing the long standing reliance on celebrities for endorsements and marketing campaigns. We are beginning to see another shift that is set to rock the the evolving industry. Instagram celebrities are becoming increasingly expensive and are often personally disconnected from their audiences, causing brands to question ROI and look for alternate avenues to maximize it. 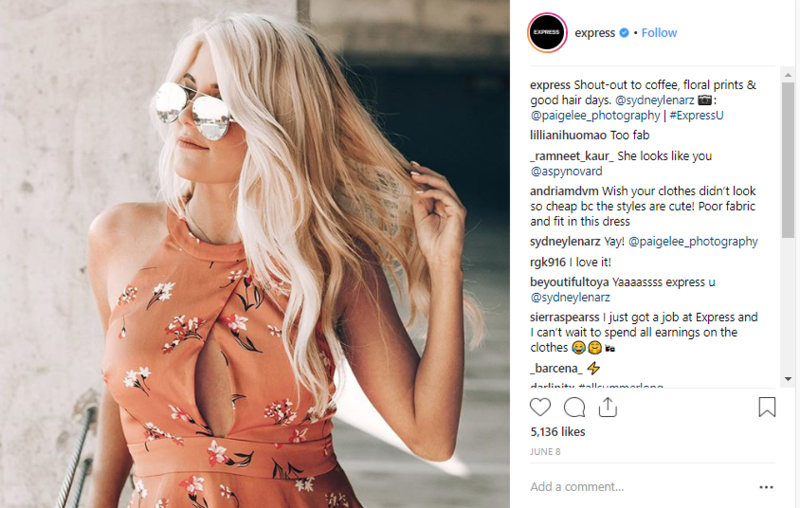 As authenticity dictates what breaks through the social media marketing clutter, brands are turning to the support and clout of micro influencers to not only help further their marketing endeavours, but also to help build a brand story, raise awareness, and connect with consumers in an engaging, relevant way. 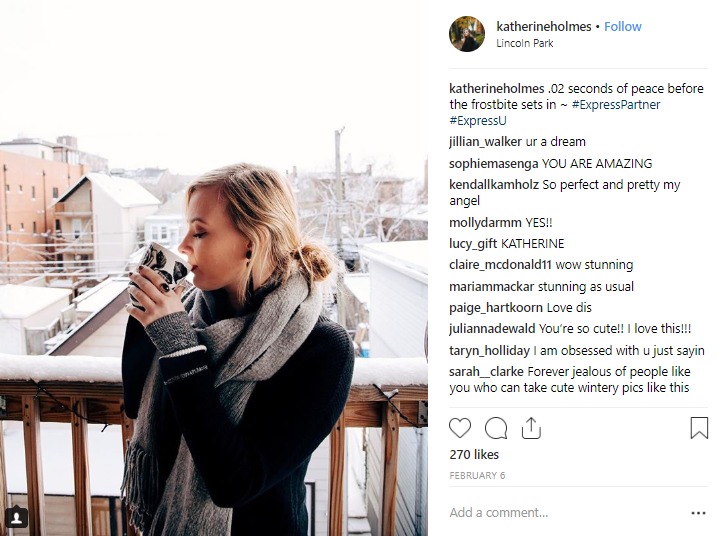 Unlike “Instagram celebrities,” who may have millions of followers, micro influencers typically reach an extremely targeted group of followers. While they tend to have fewer followers than Instagram celebrities (anywhere from 1,000 – 100,000 followers), they normally enjoy a higher level of engagement, likely because they are perceived as being more relatable. Since they’re able to create and cultivate a kind of relationship that isn’t likely for individuals with millions of followers, they’re 4x more likely to get a comment on a post. The student demographic is where micro influencers flourish because students are particularly interconnected and social. As a group of digital natives, Millennials and Gen-Z are used to sharing their lives on social media. They’re constantly creating their own content and building their following while managing to make it to class and pass exams. And long gone are the days of the “broke” student stereotype. In fact, college students spent $523 billion dollars in 2015, 39% of which was discretionary spending (food, entertainment, clothes, transportation). Research shows that students are more than willing to spend their money on the brands they love and are looking to their friends for honest recommendations. Brands would be wise to embrace the “less is more approach,” and fully lean into the power of student micro influencers. Students tend to have higher engagement rates than celebrities due to their ability to be more interactive, responsive, and build stronger relationships with their followers. They aren’t strangers—they’re your sorority sister, your lab partner, your class president. According to a HelloSociety study, these campaigns can deliver a 60% higher engagement rate than the average campaign powered by a celebrity or Instagram celebrity. While celebrities definitely have a larger reach (potential number of people who could see the content organically), the demographic makeup of their followers can result in a lost message, as many people may not care about that they are trying to promote or it may not be relevant to their lives. 84% of Millennials don’t trust traditional advertising and Gen-Z places the most trust on messages from their peers. These demographics have refined B.S. meters that allow them to spot when promotions are solely based on a contract. When students feel like they are being sold to or that the content doesn’t directly relate to them, their built-in adblock is activated. Instead of a brand reaching out to desired customers directly, brands can use student micro influencers to accomplish this task in a more natural way as a peer. They can give more authentic endorsements because they like a product, not because of a contract or compensation (although typically both are involved). When it comes to celebrity accounts with millions of followers, no one actually believes that they are a real fan of the product…they’re just trying to get paid. To incorporating this level of authenticity and accessibility, it’s important to do your research. Recruiting and selecting student micro influencers on college campuses can be tricky business. It doesn’t matter how much strategy and thought went into the campaign—if you select the wrong students, it can be detrimental. Showcase students who reflect the lives of the target consumer and you’ll connect your brand to that target consumer in a meaningful way. Millennials and Gen-Z respond best to content that looks like them, so there’s no better way than going straight to the source for content. Student micro influencers are content generators for a brand. Student content can outperform celebrity content while maintaining authenticity (and it comes with a smaller price tag). 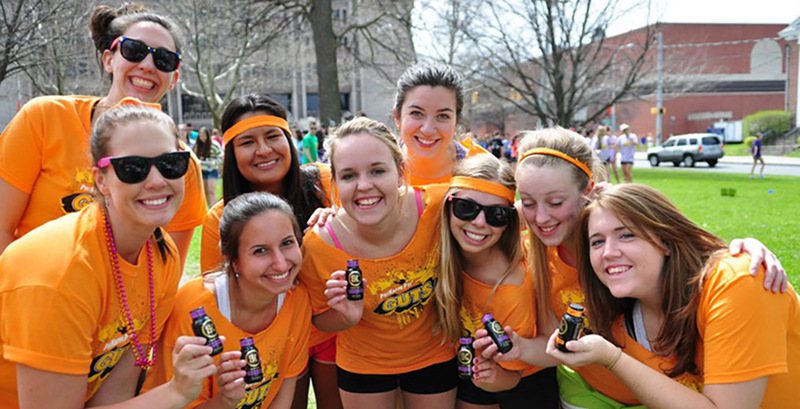 Brands can also repurpose student content to generate additional revenue from a campaign. Repurposed content increases the value you get from your campaign, and has been proven to drive further sales. Depending on the contract, your brand may be able to secure unlimited, royalty-free rights to content, instead of having to pay usage fees. Student micro influencers have a unique power to take their online conversations offline and power them through word-of-mouth, striking up conversations with their networks on campus (hello thousands of college students) and directly influencing their networks face-to-face/peer-to-peer. According to a Nielsen study, 92% of consumers value referrals from friends or family members. According to HelloSociety, micro influencers are 6.7x more efficient per engagement than influencers with larger followings. You can generate the same (or larger reach) by assembling a team of student micro influencers on varying campuses for a fraction of the cost, while adding a more diverse, yet still targeted audience. 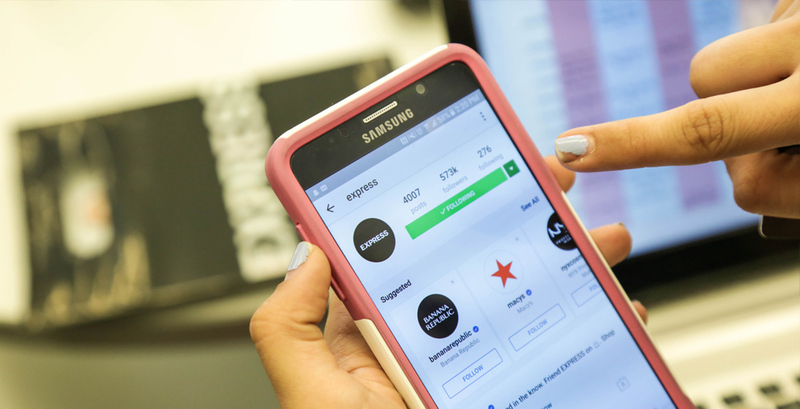 While celebrities and mega-influencers hone their monetization strategies to make their social media presence a sustainable business with well-developed pricing structures, the average college student will be more than happy with free product or services and a small stipend. Want to recruit student micro influencers for your brand? Finding the right partner is key to your success. Here at YMC, we’ve been helping brands connect with 15- to 29-year-old consumers for two decades—we’d be happy to share our wealth of knowledge with you. Contact us today! Gen-Z will be the first generation to grow up completely surrounded by social media and technology since birth. Let that sink in. The generation, which was born after 1996, accounts for 61 million people in the U.S., a number that’s already larger than Generation X and two-thirds the size of the baby boomers. Nowadays, the average American spends a whopping 12 hours per day digesting digital media. This shift towards consuming more and more online media is largely due to the shift in population—Millennials and Gen-Z are challenging companies to think differently. Businesses can no longer stick to their old ways of creating media and content. With these new shifts, come new attitudes. As resentment towards intrusive marketing tactics deepen, demand for more “authentic” and shareable content is rapidly increasing. If you want to gain the attention of Millennials and Gen-Z, use the power and appeal of branded content, a progressive form of advertising that uses original content as a means of creating brand awareness and aligning your company with certain values. Branded content is more than a buzzword. We are living in a world where, due to easily accessible information, there are 14-year-olds with political views and beliefs—and they’re making their voices heard! Gen-Z stands for diversity, equality, individuality, creativity, and justice. Want these young people to buy your product? Get them to buy into your brand first. The most promising way you can do that is by showing them that you believe in what they believe in, and meaning it. According to Google’s research, consumers choose the brands that engage them on their passions 42% more often than they do with brands that simply urge them to buy the product. Research also proves that the use of branded content is the best way to establish this type of connection. These young people are making it clear—they hate ads! In 2018, 30% of all internet users opted to block online ads and 69% of Gen-Z already avoid ads. And who could blame them? Online ads are typically rooted in terrible end-user experiences. They’re a video generation, yet advertisers continue to push ads to them via videoless, noninteractive mediums. These young adults are using ad blockers and skipping as much content as they can in an attempt to cut through the clutter. Fifty-three percent of online viewers watch videos to be inspired or entertained, and YouTube is the number one platform 18-34 year olds use to explore their passions. Stacy DeBroff, CEO and founder of Influence-Central, says, “This generation has grown up with instant response as its baseline expectation.” Having branded content in the medium Gen-Z likes to receive it (video) is how marketers are going to meet that expectation. Visuals and videos have truly surged, and consumers—particularly Millennials and Gen-Z— have embraced pictures and videos as a way to gather and share information. All of this goes to show that typical TV and print ads have become a thing of the past. With an increasingly digital world, paired with a rising generation that hates advertisements but love videos, it’s safe to say that a shift toward more engaging, branded, visual media is soon to become a necessity. As the demand for video content continues to grow, marketers must also be aware that the one-size-fits-all approach to their advertising strategies are soon to also become a thing of the past. Running the same video campaign across all digital channels won’t be enough to address Gen-Z’s need for content. A consumer’s attention span for an ad on digital is much shorter than it is for one on TV, which means different story arcs and ways of triggering emotion are needed. Even the part of the screen that viewers focus on while watching a video varies from TVs to laptops to cell phones. There are vast opportunities that come with the new digital revolution, but there are also new practices and ways of thought that marketers, and businesses alike, must consider. Recognizing and embracing these changes are the only way marketers are going to be able to truly capture the attention of Gen-Z. This is a generation with a set of goals and beliefs that are waiting to be tapped into. These young people want to engage in authentic dialogue and be inspired by the content they’re exposed to. Do your advertisements answer this call? Want to engage the coveted Millennial and Gen-Z demographics with branded content? Finding the right partner is key to your success. Here at YMC, we’ve been helping brands connect with 15- to 29-year-old consumers for two decades—and we’d be happy to share our wealth of knowledge with you. Contact us today!